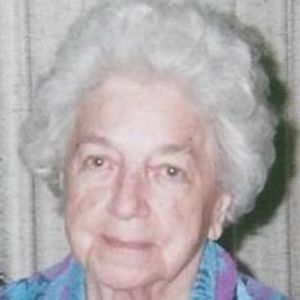 GREENVILLE - Marie Mercer Wells Vincent, 94, of Greenville, died Sunday, December 28, 2014, at 11:37PM at Muhlenberg Community Hospital. Mrs. Vincent was born October 20, 1920, in Muhlenberg County. She was an insurance clerk in the Business Office at Muhlenberg Community Hospital, and also was a tax preparer. She was a member of New Cypress Baptist Church. She was preceded in death by her parents, Wilbur J. and Virgie Jones Mercer; and husbands Ewell Wells, Robert Vincent, and Henry Vincent. Survivors include her children, Phyllis Wells Dukes of Lewisburg, David Wells of Greenville, Joan Wells Castellano of Waco, TX, and John (Arlene) Wells of Midway; grandchildren Darla Barrows of Aubun, Jeremy Wells of Austin, TX, Tina Perkins of Waco, TX, and Jason Suggs of Waco, TX; nine great-grandchildren; sisters Inez Daniel of Cincinnati, OH, and Guyneth Richeson of Owensboro; and brother Forrest Mercer of Louisville. Funeral services will be Wednesday, December 31, 2014, at 11:00AM, at Tucker Funeral Home in Central City, with Bro. Mike Dukes officiating. Burial in New Cypress Cemetery. Visitation will be Tuesday after 5:00PM at the funeral home. Online condolences may be made at www.tuckerfuneralhomes.com. My heart aches because I could not come to Marie's service due to Illness. I worked with her for 10 years at the hospital. She was my trainer, my mentor and my friend. She was so kindhearted and was always there to help anyone. My prayers, thoughts of peace and comfort go out to you, the family. Marie meant so much to so many. I was blessed to have known her. I worked with Marie for years and absolutely loved her. Phyllis, You and your family are in our Prayers. John & Arlene: We are so sorry about your Mother. I'm sure you will have a lot of wonderful memories. Thinking about you.